I pilotavsnittet möter vi Al och Peg Bundy, en dysfunktionell familj i Chicago. Al och Peg, som inte har några vänner, träffar deras nya grannar Steve och Marcy Rhoades. 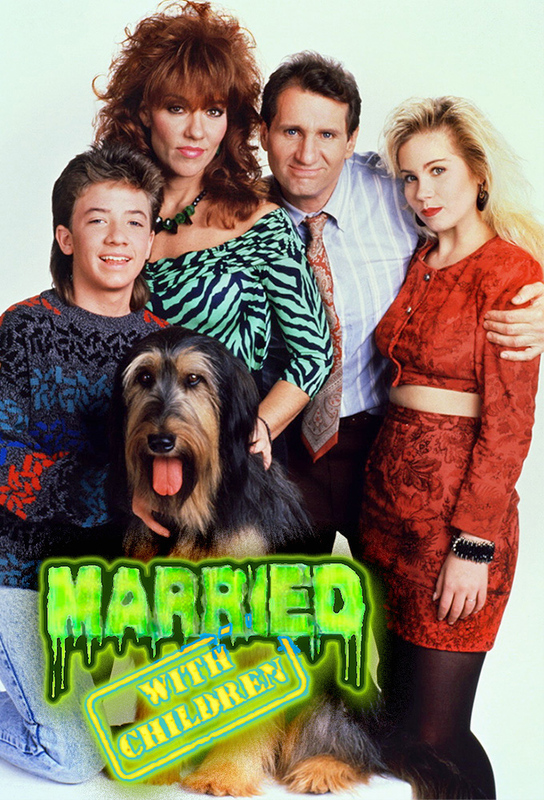 Steve och Marcy är lyckligt gifta tills de börjar umgås med familjen Bundy. Familjen Bundy och Rhoades hör talas om brott som begås i bostadsområdet. Al köper en pistol och Steve och Marcy köper en vakthund. Al hör ett ljud och skjuter av misstag vakthunden i tron att det var en inbrottstjuv. Steve and Marcy plan on adding another room to their house with their tax refund. Al tries to coax Steve into building a pool room, while Peg and Marcy decide on an exercise room. Who will win? Al and Steve draw closer together when they try to restore a 1965 Mustang. Peg and Marcy on the other hand cant stop from despising their husbands. Al is unable to purchase a gift for Peg on their 16th wedding anniversary as his credit card seemed to be maxed out. In an attempt to spice up their marriage, Al and Peg check in at a hotel, while Steve and Marcy babysit Bud and Kelly. The Rhoades learn that babysitting the young Bundys is a mistake when the kids turn their home into a rioting party. Al invites Steve to play poker, but Steve ends up losing his paycheck to Al. Afraid to tell Marcy the truth, Steve tries to convince Peggy to give him the check back. Peg wants a VCR and Al wont get it for her. She ends up working at a department store for money, which disrupts her and Als relationship. Al spends some time at Luke Venturas apartment after running out from a fight with Peg. Steve is away on business and Marcy is having sexual fantasies with Al involuntarily. Marcy becomes so disgusted and she tells Peg, who tries to give her tips on how to avoid them. After thinking that his boss is dead, Al tries to find another job unless he gets some appreciation and credit for his work. Al and Peggy delay going to a closing of their favorite hamburger joint when Bud and Kelly run into a problem. Meanwhile, Steve and Marcy prepare a party for some executive big-shots.